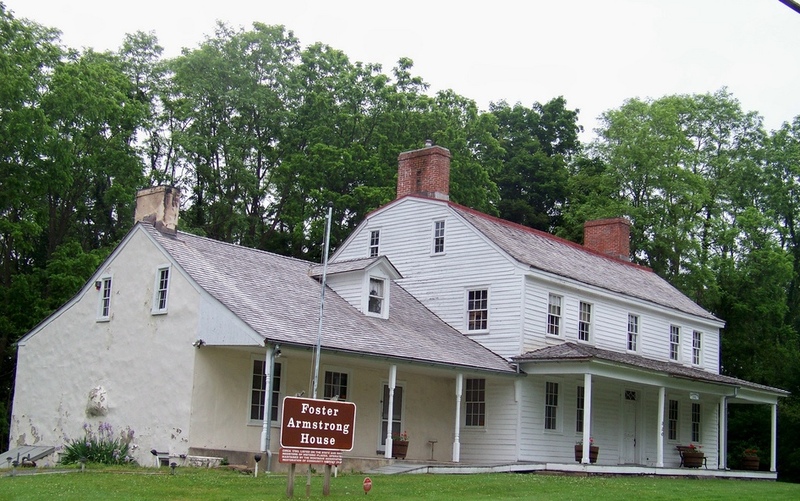 Historical Organization of the Week: Montague Association for the Restoration of Community History ~ The History Girl! This week, the Montague Association for the Restoration of Community History (MARCH) is being highlighted. MARCH originated when most of the western side of Montague Township along the Delaware River was taken for a Tocks Island Dam project that never materialized. Only the Delaware Water Gap National Recreation Area survives of that attempt to build a reservoir on the river. As a result of the project, century old homesteads and the families whose roots extended back generations, lost their ancestral homes. Many historic structures were demolished, but MARCH was founded in 1979 in hopes to preserve Montague's rich history. Today the Association manages the Nelden-Roberts Stonehouse, circa 1820, which functioned as a schoolhouse and the Foster-Armstrong House, circa 1790. Both sites are open every Sunday in July and August from 1:00 - 4:00 pm. MARCH hopes to save three other structures which were acquired under the Tocks Island project, but more support from townspeople and individuals interested in preserving history is needed.